The last day you can use your Blockbuster gift cards in the United States has been announced, as of today April 7th, 2011 you only have until the end of the day to use your card before it becomes a worthless piece of plastic. You can thank the company’s bankruptcy for the mad scramble to use up your Blockbuster gift card balance. The companies recent bankruptcy filing forced it to put a premature expiry date on their cards. 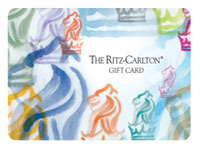 Starting tomorrow the recycled plastic from your gift card will be worth more than its phantom balance. There is one benefit to Blockbusters bankruptcy filing and premature expiration of their gift cards. With so many Blockbuster locations being shuttered what merchandise remains will be sold at fire sale prices. This means you can use your gift card to pick up some great games, blurays or dvds at reasonable prices. It may not have been what you planned to do with your gift card, but it is better to get something rather than nothing for your Blockbuster gift card. 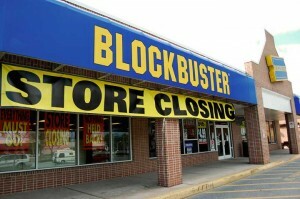 If the store nearest to you has no plans to close (hundreds of Blockbusters will reaming open through the bankruptcy filing) try to find another location that will be closing. The locations that are about to be shuttered will have the best deals as the owners will be looking to recoup every cent of their investment in the stores final days. This is another prime example of a major retailer going under and leaving tens of thousands if not hundred of thousands of consumers with a gift card that has become useless. This happens more often than you might imagine, millions of dollars in gift cards are wiped out by bankruptcy proceedings every year. This won’t concern you unless you are stock holding one of the gift card that gets its balance wiped out by bankruptcy. If you are reading this post, chances are a retailers bankruptcy is about to affect your life. We are left with these useless cards usually because we received it as a gift years ago and let it sit in a drawer for weeks, then months then years. Many people forget they have the gift card all together while most people simply forget to take it with them when they are shopping. Whatever the reason is if you are not the type of person who uses their gift cards as soon as you receive them than you should consider turning them into cash. You can now easily sell your unwanted gift cards online by using Giftah.com. Just submit your unwanted gift card and the site will turn it into cash, as long as the retailer has not gone bankrupt. Its simple to do and it frees up your cash to purchase what you really want, or even to pay some bills or save a little more. If you are not using the gift card right away its a much better and safer way to recoup the gift cards balance. Don’t lost another gift card to expiration or bankruptcy, sell gift cards that won’t be used and turn that plastic into cash. If you are still in possession of Borders or Angus & Robertson gift cards today is your last day to use the cards without any restrictions. Borders and Angus & Robertson are both going under, they have marked April 3rd as the last day that their gift cards can be redeemed without restrictions. After today when redeeming a gift card customers will need to buy and pay for an equal value of merchandise to the amount of the cards balance they are redeeming. This will mean your Borders gift card will turn into more of a 50% off coupon than a gift card. Many people will no doubt complain about the new restriction but it is actually fairly impressive the company did not just cancel their gift card balances all together when they went under. You can also register as a creditor of the company if you have an unused gift card balance, but you would be unlikely to ever receive anything for your trouble. Borders is carrying a large amount of debut that will need to be paid down before any gift card holders are able to stake their claim. If you do decide to register as a credit holder than you will no longer be able to use your gift card at a Borders or Angus & Robertson location. This is another example of a business going under that leaves tens to hundreds of thousands of consumers with useless balances on their gift cards. Leaving a gift card unused rarely ends well, especially with the current economic climate choosing to store money in a gift card is not a good decision. If you have a gift card that has been sitting around your house going unused consider selling it or at least re gifting it. You can always sell gift cards on Giftah.com, it only takes about 5 minutes and before you know it you can turn your unwanted card into cash. Almost everyone has seen Coinstar machines at their local supermarket, with over 19,000 coin sorting machines placed in prime locations across North American Coinstar has created an extremely valuable service for those of us who hoard their daily change collection in jars. Previously when you wanted to cash in on your change hoard you would have to spend countless hours rolling pennies and other change and make an extra trip to the bank, not to mention the dirty looks the teller would give you for your gang of change. 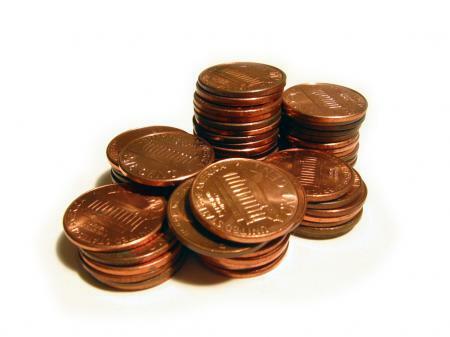 Coinstar made cashing in your coin collections a simple process, for the convenience you are charged a 9.8 percent fee. While many did not have a problem paying 9.8 percent to cash in their coins there were still many who found the fees to be too high. To solve this problem Coinstar has rolled out a new program that allows you to turn your change into a gift card from the merchant you cash the coins in at. The offer also will work with Amazon gift cards, Starbucks gift cards and iTunes gift cards. If you select the gift card payment option the Coinstar fee is eliminated, allowing you to cash in your coins for free. For those that still prefer cash Giftah.com is here to help. You can take any gift card from Coinstar machines or anywhere else and turn them into cash. Giftah will buy your unwanted or extra gift cards. It is incredibly simple to sell your gift card on Giftah.com, just send in your card and receive a fast payment via Paypal. If you are not interested in selling but more interested in shopping than you can check out Giftah’s listings of discount gift cards. Whether you are trying to get ride of an unwanted gift card or looking to save some money with a discount gift card, Giftah will give you more value.